On 25 April 2013, in Red Tix's facebook. 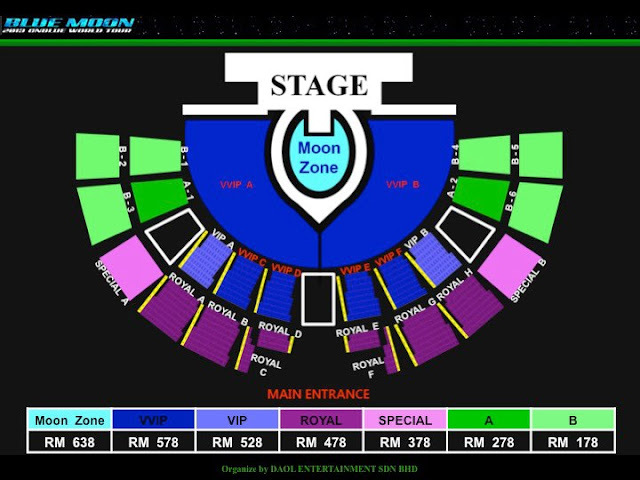 They release the seating plans and price of CNBlue The Blue Moon Concert Live in Malaysia 2013. 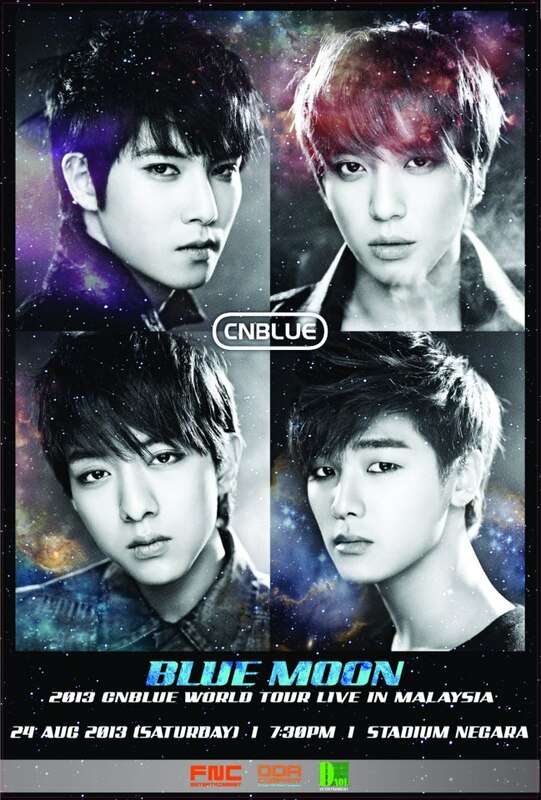 CNBlue The Blue Moon Concert Live in Malaysia hold on 24 August 2013 (Satursday) 7.30 pm at Stadium Negara, Kuala Lumpur. Tickets can be obtained at a ground sale on 18th May at Fahrenheit 88 from 10:00AM to 6:00PM. After the ground sale, it will be available on AirAsiaRedtix (online and outlets).